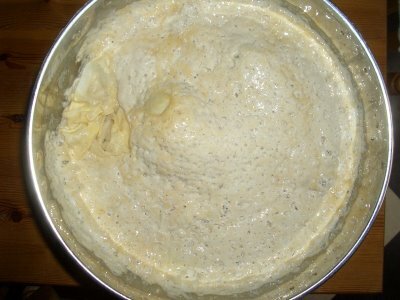 On Sunday Monday I finally decided to make a sourdough starter. 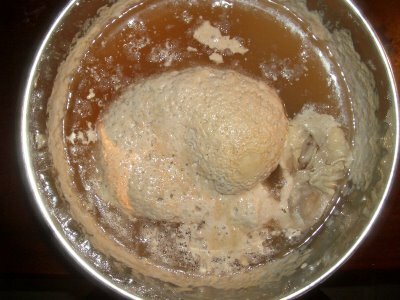 It takes FOUR weeks of patient waiting and ‘feeding’ before you get to make a loaf. I’m not a patient person so each time I pass I have to try very hard to resist taking a peek to see what’s happening under the lid. Sometimes I just manage to leave it alone others I succumb. 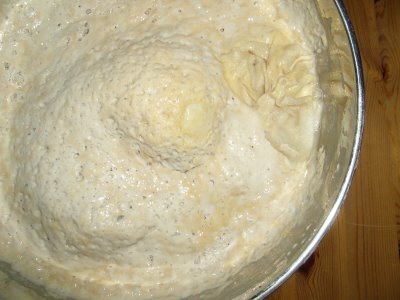 So I thought I’d share these peeks with you so you too can live the joys and worries of making sourdough. I’ll keep updating this post so come back if you want to see what’s a foot – or follow me on Twitter to hear the latest. As I add new pictures they’ll be right here so you’ll need to scroll down if you want to watch the full process. This is something I’ve always wanted to try to make, but I don’t think my patience would last four weeks! I used mine to make bread at one week. Granted, it didn’t rise as much as I wanted it to, but it still worked. 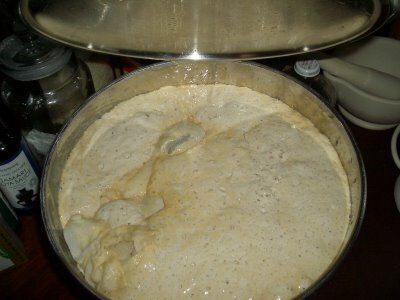 Meanwhile, I also use the starter to make cakes, pancakes, flatbread, pizza dough, and all sorts of other stuff, whether it’s actively bubbling and ready for bread making or not. Any more updates? Have you had a chance to do the choc kit yet? Springtime: I’m not sure I’ve got the patience either – lets hope I last it out. Alex: No change since this morning’s picture at the moment. Not got to choc kit yet – aiming for this weekend with it. It looks repulsive – in a good way!!! I am absolutely dying to make my own sourdough. But I would have to do it at work and I suspect that would cause chaos! Looking forward to seeing how it all works out. Four hours – wow not sure if I have the patience for that one! Very impressive. 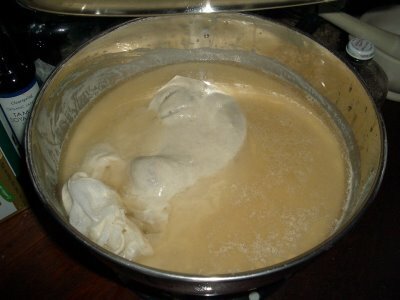 Impressive, I will definately have a go, I made a natural yeast for ginger beer and it is still going. This is really slow food, but all the more enjoyable for that. Oh, I would love to try this! Browners: Its looking even more repulsive now – photo update later today for all to see. Not sure your work mates would be too pleased if you started one under your desk! Sourdough is a huge undertaking! Good for you, and it looks like it was so much fun! So when are you going to update us with some more pics? 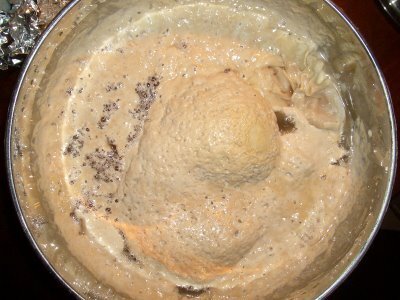 Had to rescue my starter the other day, was looking sorry for itself as I hadn’t used it in over a week but gave it a good feed and left it out of the fridge overnight. Practically exploded out of the jar when I opened it in the morning, least it’s still alive. Try and bake at least once a week is the moral of this story!